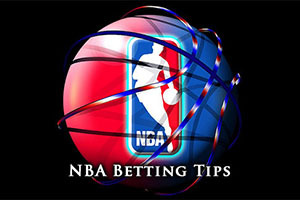 As you would expect, there is a big card in the NBA on Friday and we look at three of the best games. Before we get to that though, there are four games to wrap up from Thursday night. The Bulls had a comfortable 104-81 win against the Spurs and the Celtics flipped the odds by winning narrowly in Portland. The Celtics dealt with the Trail Blazers by a score of 89-90, which was an upset. The Bucks slipped at home to the Jazz, losing by 99-101 and the Nets were trounced away to the Clippers, the final score seeing the Los Angeles team winning by 123-84. The Raptors head into this one with a 27-15 record and they hold an 11-8 record when they are away from Toronto. Things aren’t so bright for Philadelphia who hold an 8-34 record for the season so far, and even the home form of 5-17 looks quite depressing. With the Raptors grabbing an average of 105.9 points per game, compared to the 90.1 average earned by the 76ers, and the 100.9 average for points allowed by the Raptors being better than the 102.6 points allowed on average by the 76ers, this is a game that is heavily tipped to the away team. However, things haven’t been brilliant for the Raptors for late and over the last 10 games, the 76ers actually hold a better record. Okay, the five game record stands at 2-3 for the Raptors while the 76ers are at 1-4 and the Philadelphia side have lost their last three games in comparison to the Raptors who come into this on the back of one loss, but there isn’t enough good form in the Raptors side to be overly confident about this match. The Sixers 91-98 home loss to New York on Wednesday night was the 19th game in a row where they failed to grab 100 points. Wednesday was also a terrible night for the Raptors, losing 92-86 in Memphis while only shooting 31.8%. Both teams have a number of injuries to concern themselves with. The Raptors are monitoring Jonas Valanciunas and Kyle Lowry on a daily basis while the 76ers could be without Luc Richard Mbah a Moute and Tonry Wroten, while they are also keeping a close eye on Nerlens Noel. It should be an away win but taking the Raptors with an -11 handicap, at odds of 1.90, should be enough to provide you with an edge to your Friday basketball betting action. Bet Now! The Magic head to New York with a 15-30 record, which includes a 10-16 record on the road. The Magic’s away record is far better than their home record, so they may be feeling a bit happier about being on the road than some teams would feel. They will also feel happy about heading to New York as the Knicks hold a 7-36 record and this includes a home record of 4-17. These are two teams who have suffered a rough time of it this campaign. This can be seen with the average points scored and allowed by both teams. The Magic have notched an average of 95.5 points while the Knicks have only managed an average of 92.8 points per game. With respect to shipping points, the Magic have allowed 101.3 points per game and the Knicks have averaged 101.2 points per game. Both teams hold a 2-3 record in their last five games and both hold a 2-8 record in their last 10 games, so there is a level of consistency with the teams. However, the Knicks have at least won games in a row while the Magic is on a losing streak of 3. On Monday night, the Knicks stopped a 16 game losing run with a 99-92 win at home against the Pelicans and then on Wednesday, they backed this up with a 91-98 win in Philadelphia. On Wednesday night, the Magic slumped to a 128-118 defeat in Detroit. The Magic are worried about Tobias Harris who is likely to be out while Andrea Bargnani is tipped to be out for the Knicks. The Knicks are also closely monitoring the fitness of Cleanthony Early, Amar’e Stoudemire and Carmelo Anthony. While neither team is showing great form, taking the Magic with a -2.5 handicap, and odds of 1.90, is likely to be a sensible bet for Friday. Bet Now! The Rockets come into this game with a 29-14 record, and this includes a 14-7 record on the road, so they are doing quite well away from Houston. The Suns also have a positive record for this campaign, holding a 26-18 record so far, and this contains a 13-11 record in Houston. The Rockets are averaging 102.9 points a game and allowing an average of 99 points a game. The Suns are scoring more points on average, 107.5 points, but they are also allowing more points on average, 104.8. The Rockets come into this game on the back of a loss but the Suns have a winning streak of four and they have an impressive 4-1 record in five games and an 8-2 record in 10 games. The Rockets hold a 2-3 record in their last five, while they hold a 6-4 record in their last 10 outings. The Suns were involved in a classic on Wednesday night, picking up their seventh home win in a row with a stunning 118-113 win over the Trail Blazers. They let a 25 lead slip through their hands but Eric Bledsoe stepped up and a late comeback ensured the home fans went home feeling delighted. Also on Wednesday, the Rockets slumped to a 126-113 loss to the Warriors, giving up 20 turnovers in the game. Terence Jones is expected to be out for the Rockets while the Suns appear to be injury free going into this game. Although this has the makings of a close match, you can see the Suns edging it and taking the Suns with a -2.5 handicap, with odds of 1.90, isn’t a bad bet for a Friday night. Bet Now!